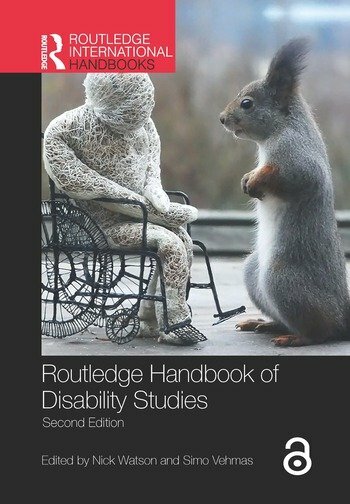 This fully revised and expanded second edition of the Routledge Handbook of Disability Studies takes a multidisciplinary approach to disability and provides an authoritative and up-to-date overview of the main issues in the field around the world today. Adopting an international perspective and arranged thematically, it surveys the state of the discipline, examining emerging and cutting-edge areas as well as core areas of contention. Disability studies and different life experiences, examining how disability and disability studies intersects with ethnicity, sexuality, gender, childhood and ageing. Containing fifteen revised chapters and twelve new chapters from an international selection of leading scholars, this authoritative handbook is an invaluable reference for all academics, researchers and more advanced students in disability studies and associated disciplines such as sociology, health studies and social work. Nick Watson is professor of Disability research and Director of the Centre for Disability research at the University Glasgow. He has written on a range of disability issues including disability and technology, disability and identity and disability theory. He is on the executive editorial board of Disability and Society and is Director of What Works Scotland. Simo Vehmas is Professor of Special Education at Stockholm University, Sweden. He has written on various theoretical and ethical issues such as the ontological formation of disability and the moral significance of intellectual disability regarding moral status and sexuality.